Ukrainian entertainer and presidential candidate Volodymyr Zelensky performs on stage in the western Ukrainian city of Uzhhorod on Feb. 9, 2019. Actor and comedian Volodymyr Zelensky is a household name in Ukraine. 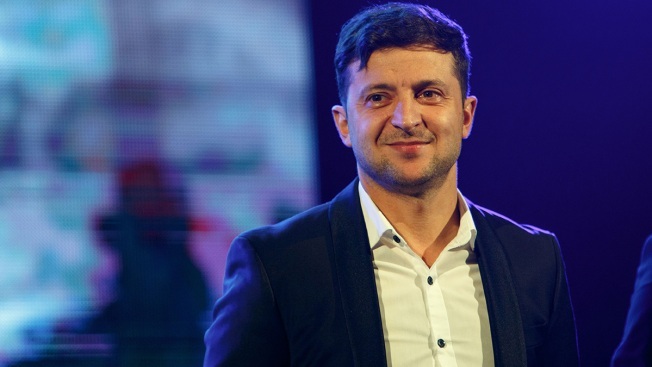 The 41-year-old Zelensky has played many different roles throughout his decades-long career; he even stars as the president in a Ukrainian TV series. Even though playing the president on TV is the extent of his political experience, the actor has rapidly crossed over to become a star in Ukrainian politics: A recent poll suggests Zelensky is the front-runner in the country’s upcoming presidential election, with more support than the incumbent Petro Poroshenko and the former Prime Minister Yulia Tymoshenko, NBC News reported. Despite his popularity, some fear Zelensky might be biting off more than he can chew.